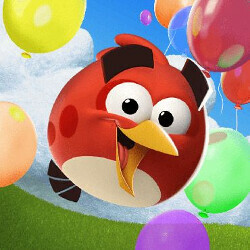 Angry Birds developer Rovio to go public? At one time Angry Birds developer Rovio thought so much of its accomplishments with the game, that it said it was going to be the next Disney. With the Birds' images plastered everywhere from lunch boxes to adhesive strips, found on television and movie screens, and even the subject of a theme park in China, you could excuse Rovio for thinking big. But unless the company can expand its inventory of bankable characters, Rovio will have to settle for being, well, Rovio. According to a published report, Chinese internet firm Tencent is planning to make a $3 billion bid for the Finnish based animation studio. But Rovio has its own idea on how to unlock its real value. The company responded to the Tencent story by saying that it might go public through an IPO. This might be a propitious time to consider going public. After the great growth period led by those foul fowl, Angry Birds daily usage started to decline and licensing revenue dropped off sharply. Rovio had no choice but to lay off employees and cut back on spending. But the Angry Birds Movie was a financial success last year, if not an artistic success, and a sequel is in the works. For those of you out there who figured that the movie would be the end of the franchise, guess again. It has brought about a revival which has tied in to a new generation of Angry Birds players getting to feel the taut response of the slingshot on their phone. And whether Rovio is bought out or goes public, either way will provide the company with the wherewithal to keep the Birds going for many years into the future. Tencent is making moves. They bought supercell.